The cheerleading apparel company has surpassed 10,000 fans on Facebook and has nearly 5,000 Instagram followers. We’ve been growing a lot, especially this past year. 2013 has been an exciting and great year for Chassé and we look forward to more opportunities in 2014. Chassé Cheer has reached a major social media milestone, having surpassed 10,000 likes on Facebook. The popular cheerleading apparel company has nearly doubled its Facebook likes over the past few months. Similarly, Chassé has nearly 5,000 Instagram followers, having only joined the photo social media platform this past April. Chassé has long been interacting with fans on several social media platforms, including Facebook, Twitter, Pinterest, Tumblr, and Google+. As Chassé’s online presence and fan base grew, an Instagram account was the next step. On Instagram, Chassé posts images of products, cheer graphics, and reposts of popular cheerleaders in their Chassé gear, including Maddie Gardner. “We’re amazed, but not surprised, to see our constant growth on social media. We are dedicated to promoting the cheerleading lifestyle and providing our fans with exciting and trendy cheer apparel and accessories,” said Chassé marketing specialist, Melissa Darcey. Beyond social media, Chassé has been busy with partnerships and new ventures. “We’ve been growing a lot, especially this past year. 2013 has been an exciting and great year for Chassé and we look forward to more opportunities in 2014,” commented Jessica Rzeszut, Chassé marketing manager. In May, Chassé signed on its first-ever cheerleading spokesmodels – Maddie Gardner and Elle Smith. Soon after, Chassé announced its partnership with Cheer Channel’s Superstars of All Stars program. As part of the program, Chassé is providing scholarships for the ten selected cheerleaders. In July, Cheerleading Blog announced the release of a quarterly cheerleading magazine, CheerLiving™, of which Chassé is the premier sponsor, as well as for CheerLiving™’s YouTube show, which premiered in September (and is produced by Cheer Channel). As a sponsor, Chassé contributes content, cheerleading information, and more. For the first issue of the magazine, Chassé’s spokesmodel Maddie Gardner was featured on the cover. For the past five years, Chassé has been a sponsor of Cheerleading Blog. Chassé can be found on Instagram at instagram.com/chassecheer and on Facebook at http://www.facebook.com/chassecheer.fan. 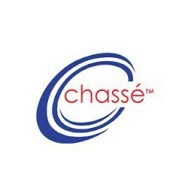 For more information on Chassé or to find their other social media profiles, visit their website. Chassé® is a leader and innovator in the world of cheerleading apparel and accessories, providing affordable and high-performance in-stock cheerleading apparel to cheerleaders of all ages. Chassé Helps CheerLiving® Show Reach Viewing MilestoneCheerLiving's first episode surpassed 20,000 views in less than a month New Episode of CheerLiving Show Features Chassé Athletes Maddie Gardner and Elle Smith Plus Superstars of All Stars CheerleadersTop cheerleaders share their nutrition tips in the fifth episode of CheerLiving® magazine’s show, sponsored by Chassé and produced by Cheer Channel Inc. Chassé Sponsors World Premiere of Cheerleading Vlog CheerLiving® OnlineCheerLiving® magazine's video blog is sponsored by Chassé and produced by Cheer Channel Chassé Joins Instagram, Grows Quickly in Fan BaseThe cheerleading apparel company joined Instagram only a few months ago but has already surpassed 2,000 followers.